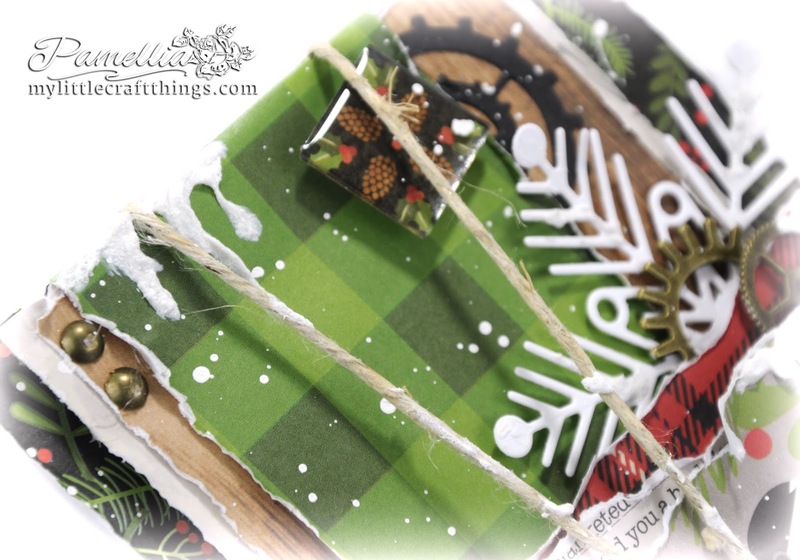 Today I am sharing a masculine Christmas card made with the Christmas Noel paper pack from Recollections from Michael's Craft Store. The credit for this card goes to a very talented woman named Margaret of Margyz Paper Games. I pretty much copied one her designs because I just loved it so much. You can find the original card HERE. I highly recommend you give her a visit, you will find as much inspiration there as I do!! 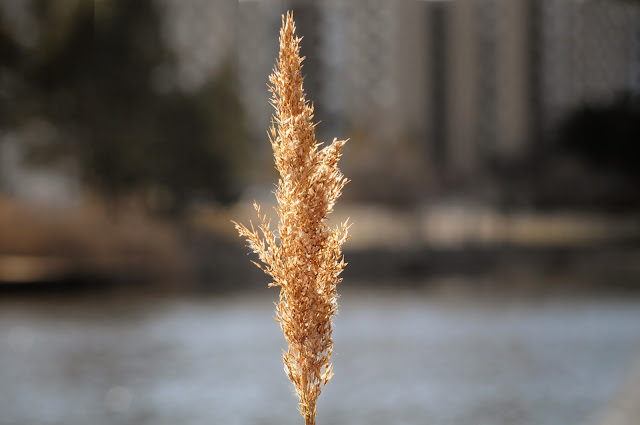 My landscape photo today is an image of the decline in nature around the lake where I live. See that big horrible building in the background? This time last year, I couldn't see it because of all of the trees. They have cut down more than 100 trees just on the trail around the lake. It just breaks my heart! Not only does take away homes, food sources and protection from predators for the squirrels and the birds, but it's also effected away my privacy, soundproofing and even the shade and wind protection on the house and the trails. 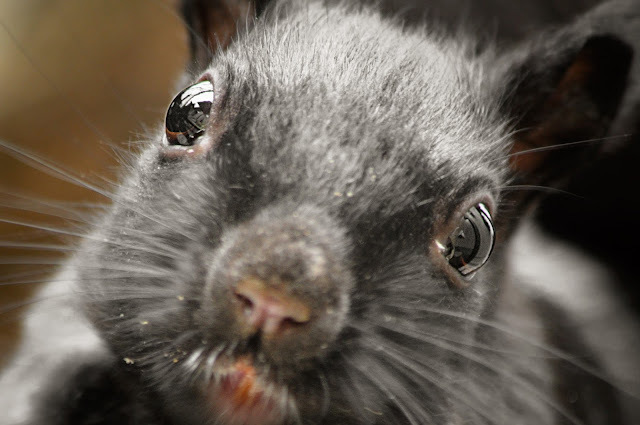 It's a horrible side effect of the mild winters we have been having here. They expect to cut down more than a half a million trees in Southern Ontario this year alone. OK, on to happier things! 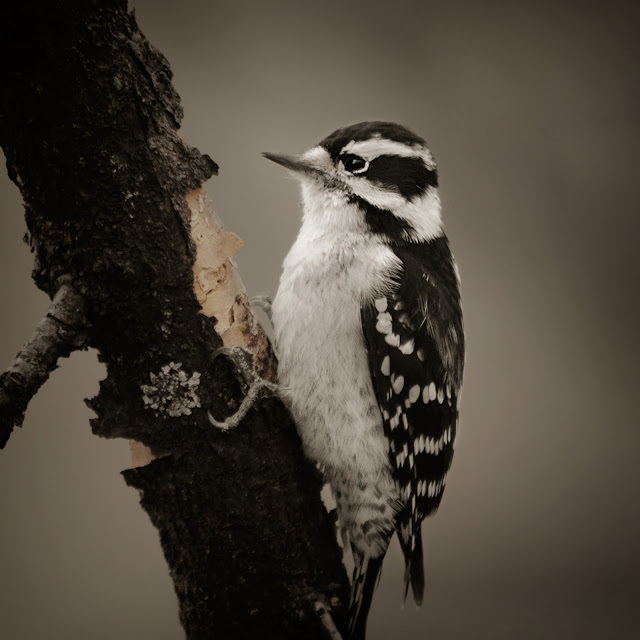 For my birds today I have this female Downy Woodpecker and a lovely Blue Jay. "I'm not coming down until you apologize! You said winter was over, but it's cold and miserable and I just saw a snowflake!" "I worry for the soul of any man who can look into the eyes of an animal and not instantly want to do everything in his power to protect it." 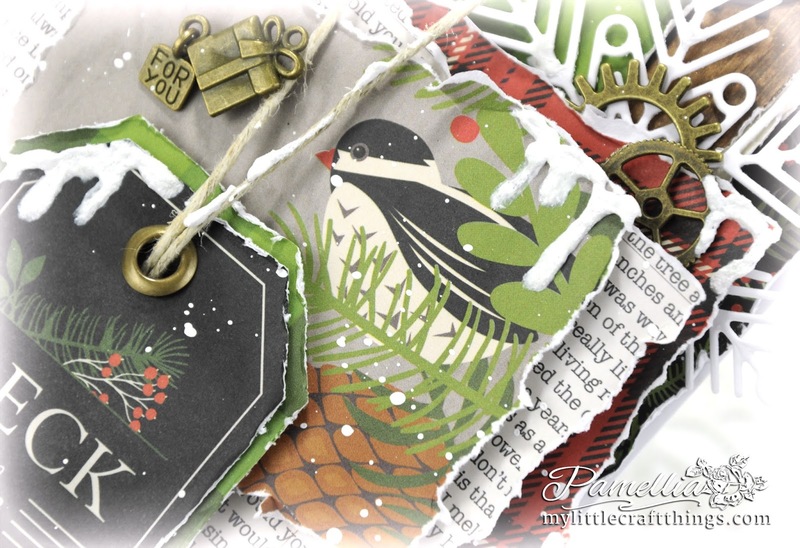 Wonderful card Pamellia - love the rich colours and the great layering as ever. So sad to hear about the trees - they really do give an area so much richness. 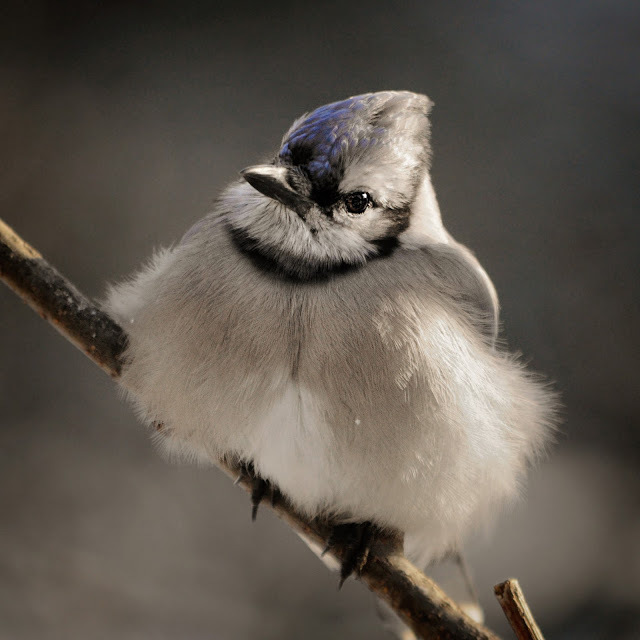 Love your animal photos - we don't get blue jays here, so it is always great to see you photos. FABulous masculine card Pamellia..love the colours in the papers and the metal details with all those wonderful layers..and even the tiny eye on the bird..gorgeous.Hasn't Crystal got the most fabulous tail..lovely photos.. Awesome card, Pamellia! Love these photos! Rusty is beautiful and love the "batman" photo! Fabulous masculine card today...love the bold papers, the l/o and layering are gorgeous, love the tied down tag and the metal elements. Such a shame about the trees...why are they needing to cut down so many? Oh wow!! Couldn't believe my eyes when I saw this in my reading list. This is amazing!!! I am totally gobsmacked that you liked one of my cards enough to do a case of it. I am so thrilled Pamellia, and so honoured. Thank you for the shout out. You have made my day!! I loooveee your version. Never thought this would go so well as a Christmas card but now you've got me thinking .. LOL!! I love the papers you used. The bold, bright colours are just gorgeous and I love that little charm. Beautiful make as always. Why, oh why, do they have to cut down so many trees. Doesn't make any sense to me. Trees are so necessary to our environment and yet they are treated as a nuisance. Beggars belief. Love the photos, especially the one of Rusty. All of your litle friends are beautiful but he takes it to another level. Such beautiful colouring!! 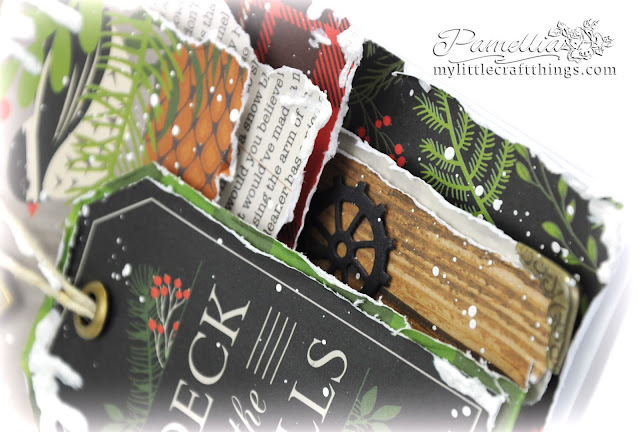 You have certainly adapted the wonderful design to make this gorgeous Christmas card Pamellia, I love all the layers and that beautiful snowflake. 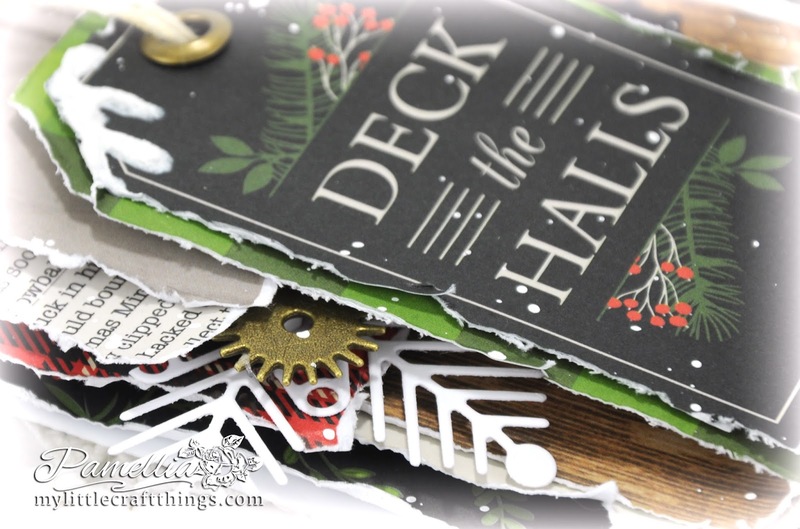 The white splatters look like snow is softly falling ... a gorgeous Christmas card. what a very gorgeous card and such a very super design. Love everything you have done to create this. I expect the lady in question was so pleased with your take on her design. Super gorgeous photos as always. As you say how can anyone look into those eyes and not want to protect them. Oh wow, Pamellia, I absolutely adore your take on Margaret's beautiful card!! The layers are amazing!! I love the details you've tucked in everywhere!! The papers are fabulous!! I so struggle with masculine cards - this one is spectacular!! I want to make one like it now!! So incredibly gorgeous, my friend!! Love, love, love!! How sad they are cutting down so many trees :( My house is surrounded by them and I'd be devastated if they were cut down. Rusty seriously could not be cuter!! And what an amazing picture!! That red is stunning!! Love the close-up, too!! I hope you have a wonderful Wednesday, my sweet friend!! I hope the weather is nice and springy there. We are having thunderstorms but at least it's in the 60's. Big hugs!! Aw bless, Rusty is so adorable and so are all the other furry and feathery friends. I will never understand that there are human beings out there in this cruel world that cannot feel what I (we) feel about animals. They are so much kinder and much more "humane" than we humans are. Oh my thats a fantastic card for the male members of the family and friends. Again I loved the photos . It was a shame that the trees had to be felled, it does effect the habitat. I hope the animals found somewhere to find shelter. Wow! I would be a man to receive this gourgous card!! :D LOL Love the colours so vibrant and that tied down tag looks amazing!! That birdie is a delight, awesome papers and such fabulous little details!!! The bronze charm and cogs, the brads.... Oh, they are really beautiful!!! And the tiny gift box too!! I think this card is a bit out of your usual style, but so wonderfully realized!!! Hi Pamellia, that is shocking about the trees, trees are so necessary to the environment, no wonder you're so upset by it. I love your card, gorgeous papers and design, the colours are wonderful and so are your embellishments. 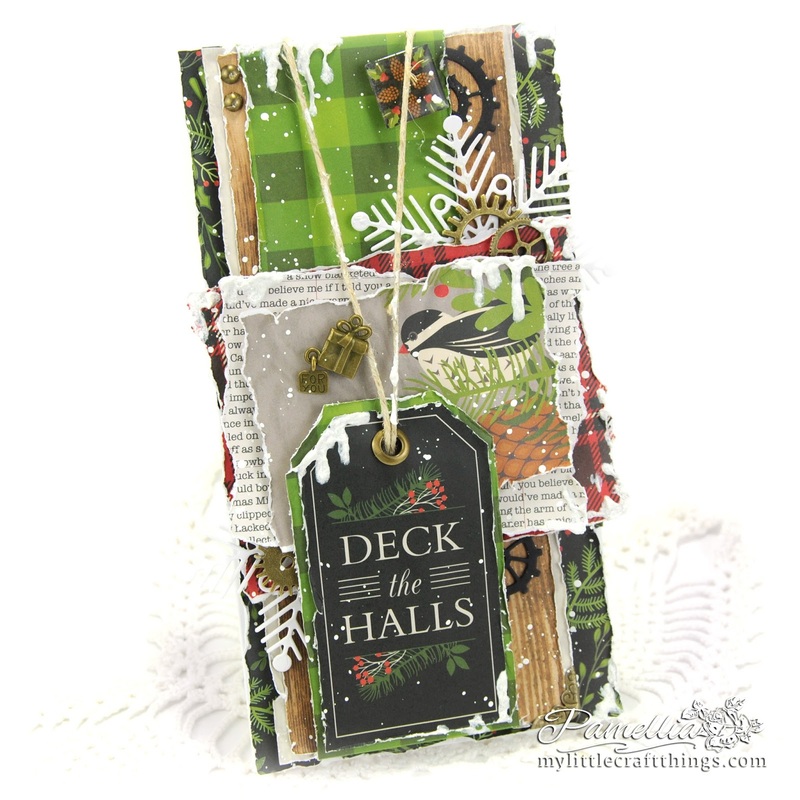 Beautiful take on the card that Margaret made, I had a peek at her blog, very inspiring. What a wonderful card!! I love the masculine touches! Superb photos Pamellia! Another so FABULOUS card and very masculine, not like you at all, BUT you should keep doing it, as they will be MUCH appreciated, LOVE the cog and the present charm, all the papers are perfect. LOVE LOVE LOVE it. As for the trees? There HAS to be a good reason, isn't there? We have had thousands taken down over our mountains around here due to a fungas that affects them and they die and just fall themselves, so they are taken down for safety sake. Even our Ash has a fungs affecting it, sometimes Nauture does strange things, sometimes with the help of man! Take care my friend and enjoy all the little friends you capture and show us. Wonderful card for a male Christmas card Pamellia, love the layers and fabulous papers. 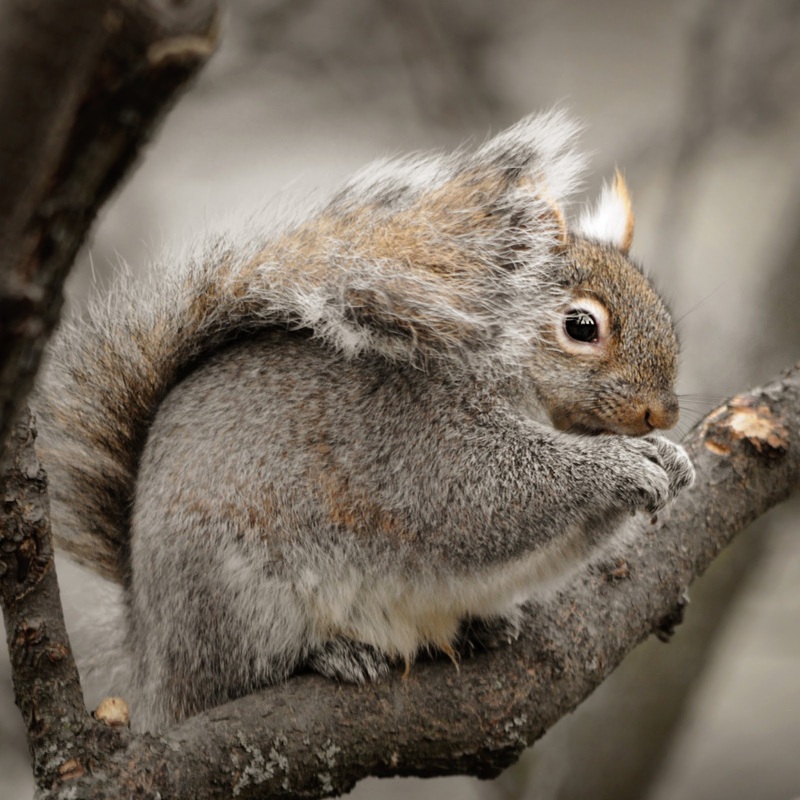 Such a shame removing trees..
Love your gorgeous Pics with these fabulous animals. Another amazing and gorgeous card! The layers are spectacular as always! I love your paper choice and the little metal pieces are perfect! Always enjoy seeing your work. You are incredibly talented! That's a shame about cutting all the trees~why so many? Safety reasons possibly? Your pictures are amazing of your sweet furry friends! So sweet! A change for you not to be floaty and feminine but you do manly brilliantly too (that's the card, not you lol!). Why are they chopping all these trees down, especially if its not to build on the land. Trees are the lungs of the Earth. Such a shame. I like the way you used all the pretty patterns and put together such an amazing Christmas card. Hi, Pamellia, so sorry I'm late! Way too much outdoor work that needs to be done, and just not enough hours in the day to visit all the blogs I love visiting! Your rendition of Margaret's card is beautiful! Such a fabulous design and I can see why you cased it! Now I just may have to do the same! I got such a kick out of how she then cased YOUR design! You have worked magic with those papers and I love the bits of "snow" and the sweet little charm you added. Be prepared to see your's and Margaret's designs on my blog in the future! Love all your photography; those pretty birds and Rusty's portraits really take my breath away! You are so blessed to have such a variety of squirrels in your area! And the close up at the end is just fantastic! Terrible news about those trees; I feel your pain! 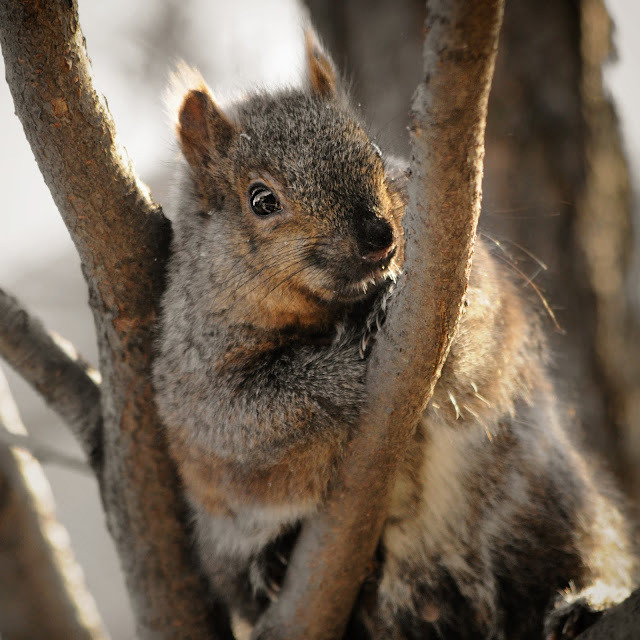 I am probably one of the original "tree huggers". And hugs to you, sweetie! Masculine cards are so hard I think we could all take a leaf out of Margaret's card design book, wonderful design Pamelia. To e honest I am not sure which of you I should e praising! 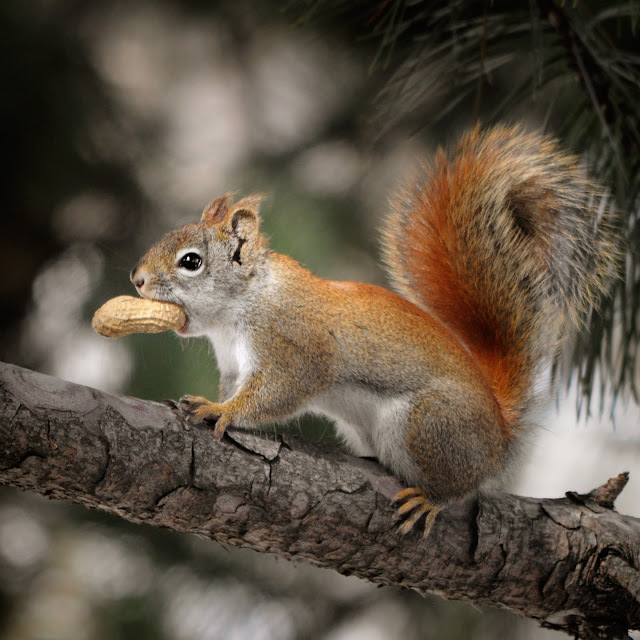 Wonderful wildlife shots as always, that close up of Mistro is amazing and I just love the little red squirrel, they are so cute. 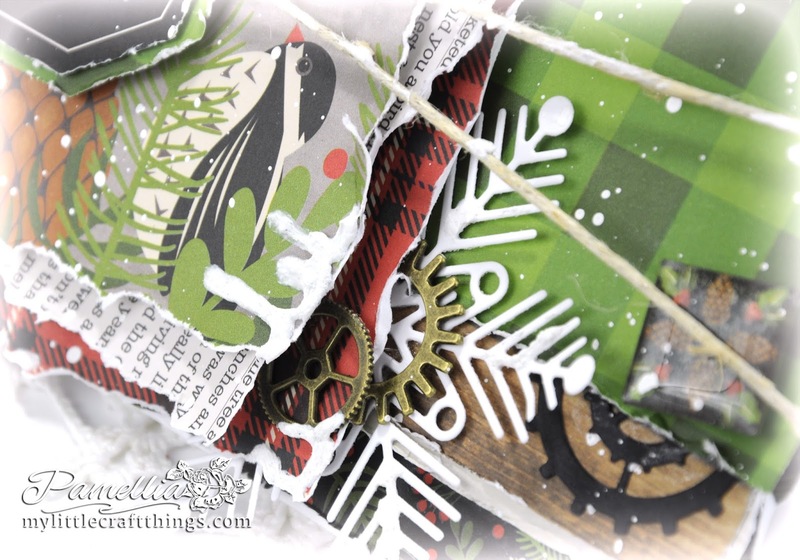 I admire anyone who can get in the Christmas spirit at this time of year - but you've showcased those fabulous papers so well, and I love the layered look. So sad to hear about the decimation of the natural environment... Why are they cutting down so many trees? It's horrible. Okay, I can totally see this is my house and anyone's for that matter. This is da bomb and then some. I love how you incorporated the gears into this masculine masterpiece. 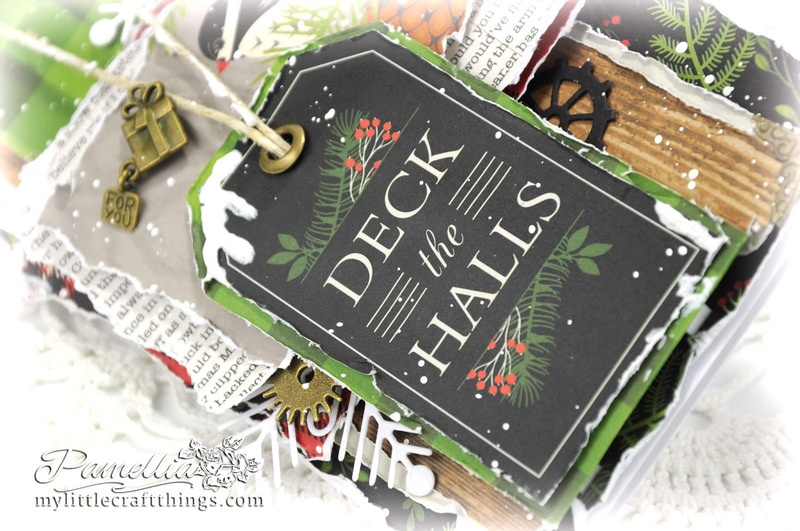 The blacks, greens and golds are subliminal and wowzers! I think I may need to make something like this as well. It hits all the right buttons.